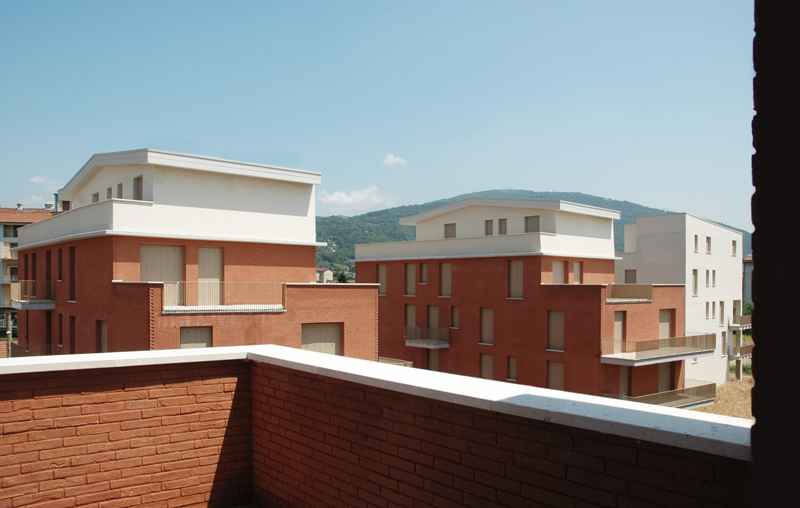 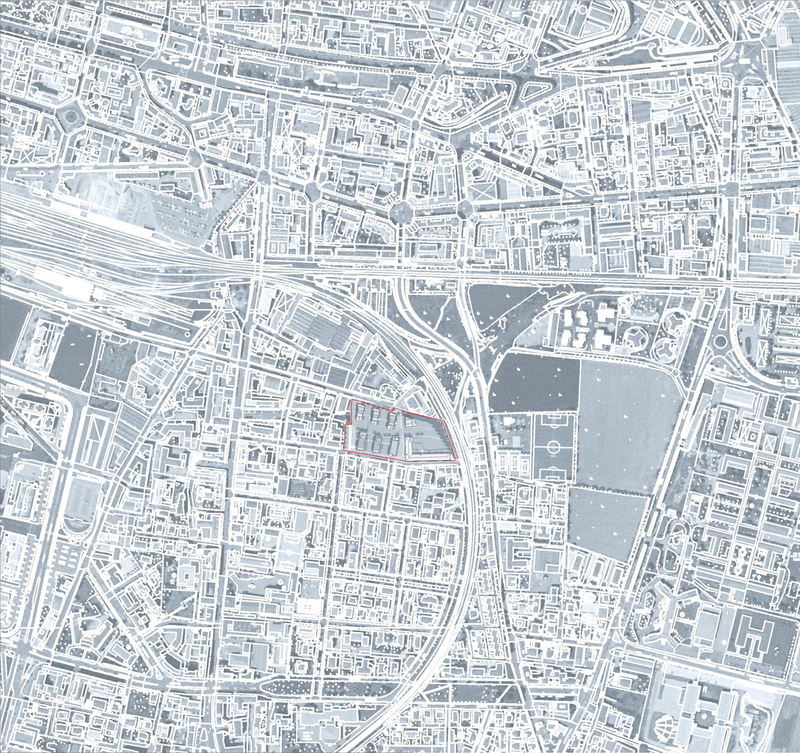 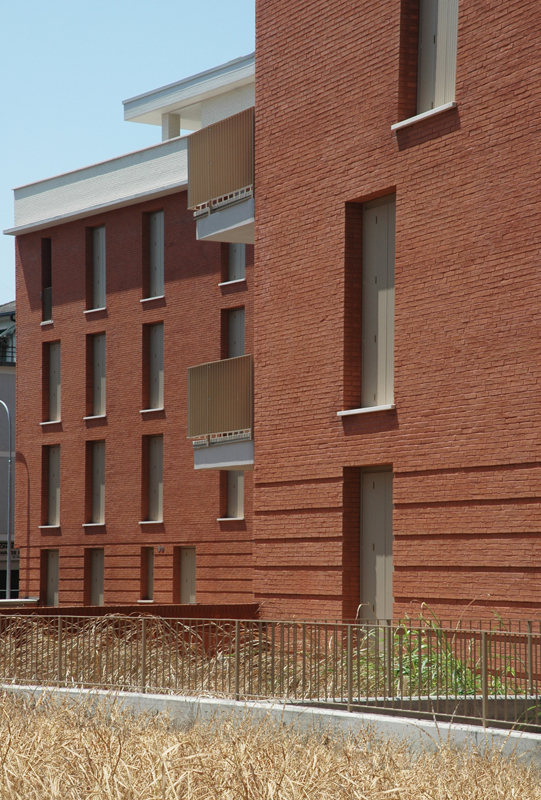 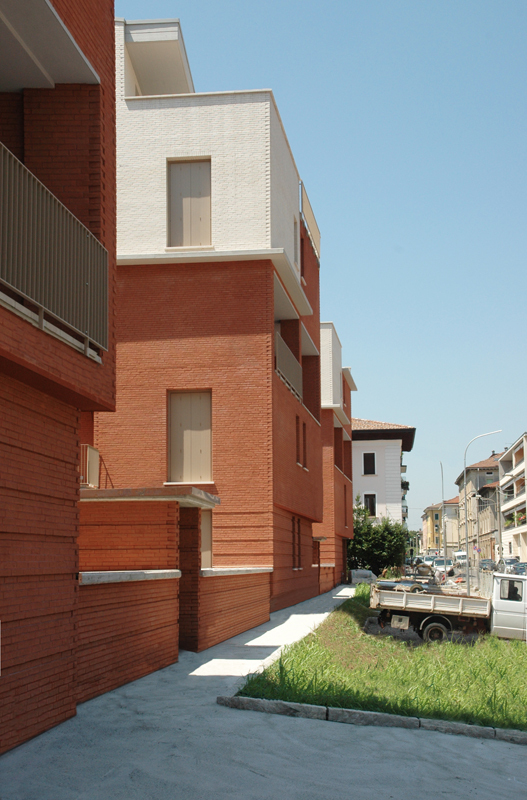 Architecture project for the industrial area Santoni in Savoldo street, housing. 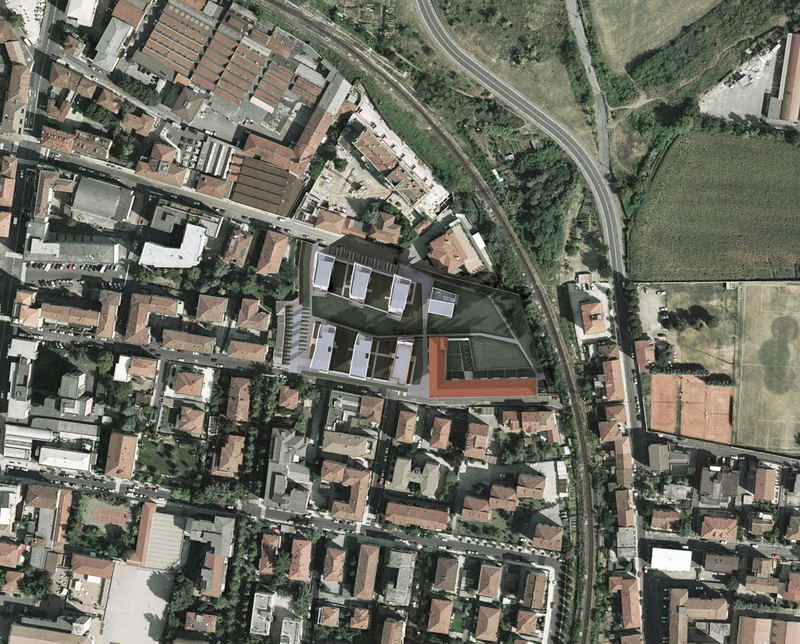 The project foresees the transformation of an area located just south of the Brescian railway station, originally occupied by the “Santoni” textile factory, into a new residential housing complex. 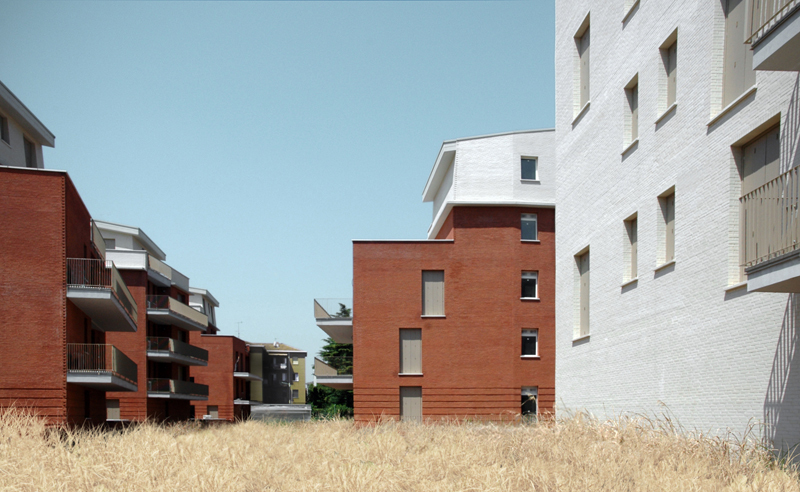 Thinking about the surrounding urban context, it became apparent that the area is prevalently made up of small mid-level or lower level residential buildings, often surrounded by permeable private green spaces bordering the buildings. 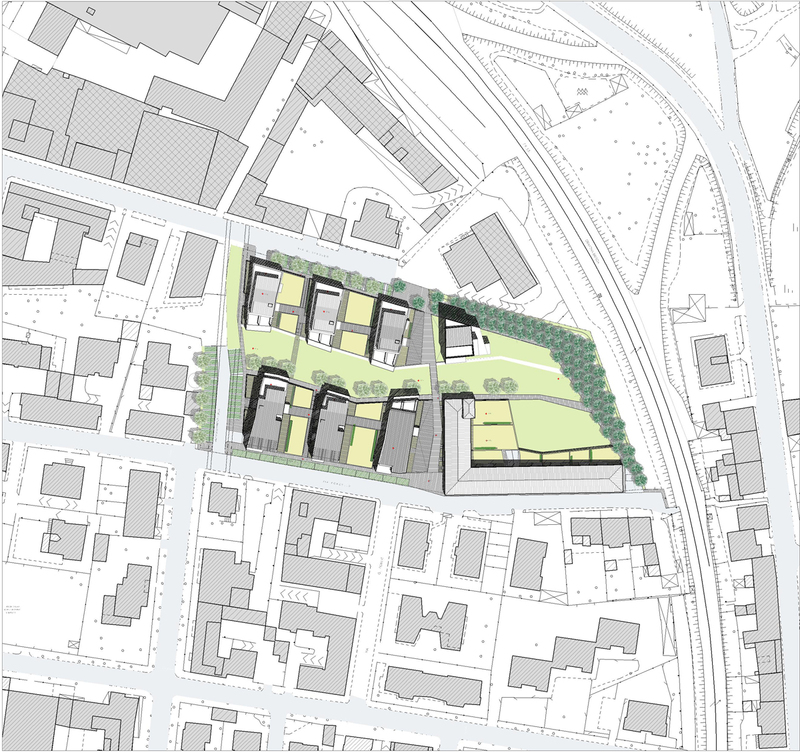 The project proposal utilizes the maximum space allowed for building with a plan for seven small-scale buildings of varying heights, between three and six storeys, allowing for optimal orientation. 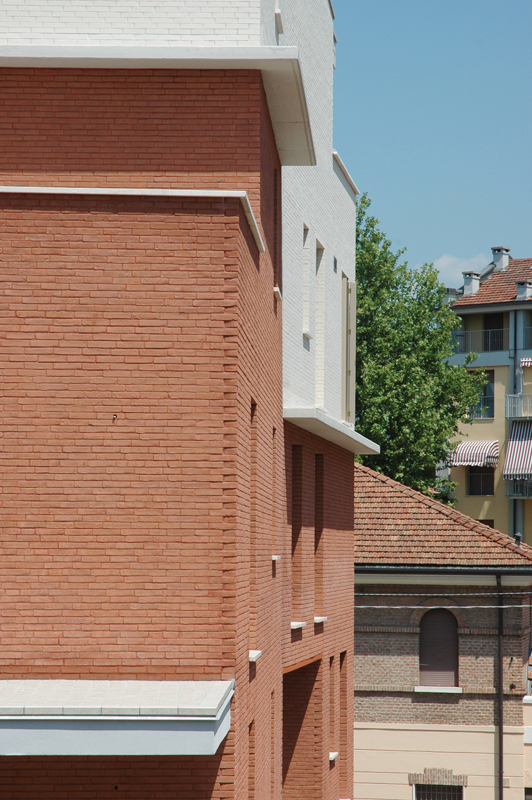 The private parking garages will be situated at the underground levels. 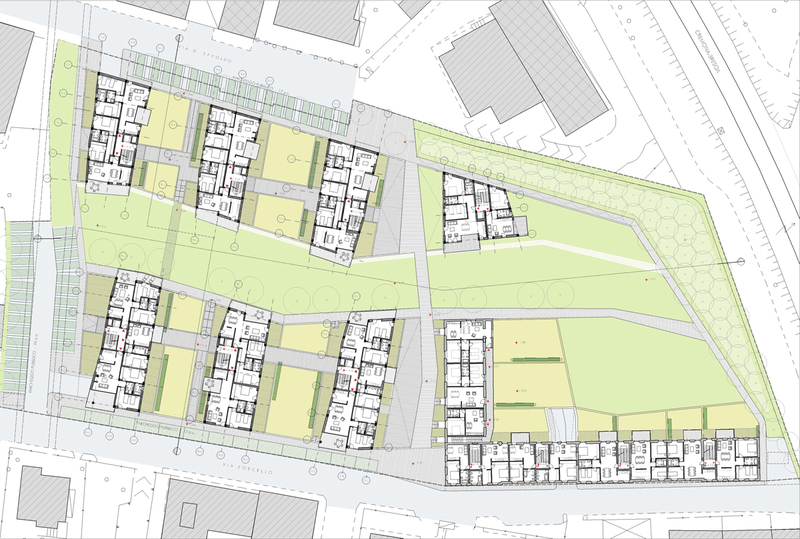 The new arrangement of buildings of the project also allows for an interpenetration between the public park at the center of the area with the bordering green spaces at the base of the buildings.